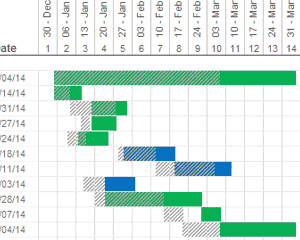 Learn more about new features and updates for our popular Gantt Chart Template. Use the comments in these posts to ask questions, get answers, or offer suggestions. If you are looking for the video demos, go to the gantt chart page above and scroll down. Check out a proposed new feature for Gantt Chart Template Pro that will let you show both the original task dates and the current dates in the same chart. 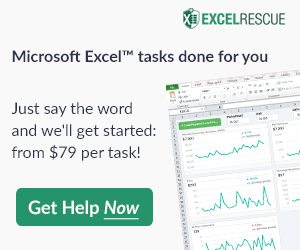 This page is for answering questions about Gantt Chart Template Pro that might not already be answered via the Help worksheet inside the spreadsheet. 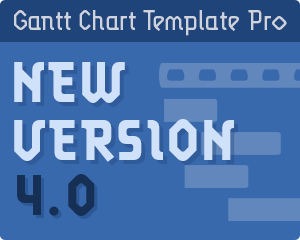 The request to be able to switch between daily, weekly, and monthly views has been added to the next version of Gantt Chart Template Pro. 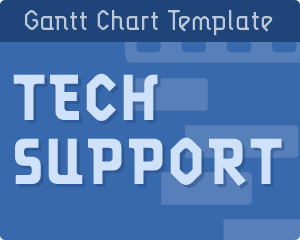 Have questions prior to ordering the pro version of Vertex42’s Gantt Chart Template? Find the answers here.